For years, restaurant and bar owners have known that having inexpensive, enjoyable entertainment options onsite is a great way to draw customers through their doors and keep them inside longer than they might otherwise stay. Who hasn’t spent time playing pinball with friends on a Saturday night or been surprised and excited to see their favorite childhood arcade game in a local restaurant? 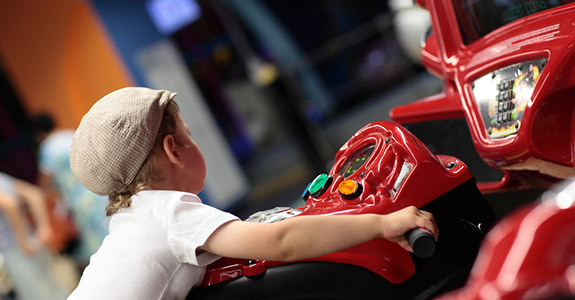 If you’re a fan of arcade games and are looking for another attraction to keep your customers coming back, visit KC Video Games and check out our vast selection of options. Our aim is to offer the widest variety of arcade games in Kansas City, MO, and our customers would be quick to tell you that we succeed. In addition to arcade game sales, we’re excited to offer rental options for arcade games and other popular, dependable bar and restaurant entertainments. Arcade games: Finding the perfect arcade games for your establishment or event can be a lot of fun. If you have something in particular that you’re looking for, or if you just think some arcade games would make your bar a little more exciting, come see what we have to offer. Pinball machines: If you spent hours of your youth (or adulthood) playing pinball and want to give the same opportunity to your customers today, KC Video Games has a wide selection of pinball machines for rent. From classic styles to more off-the-wall choices, you’re sure to find one you’ll love. Pool tables: There’s nothing quite like a pool table to get your bar customers a little rowdy once the night is in full swing. Our shop offers quality poor table services in Kansas City, MO at competitive rates. Let us know how we can help you bring in some new customers and turn them into regulars. Jukeboxes: The jukebox is an iconic feature of American bars. It’s the perfect way to get your customers to contribute to the ambience and get them dancing long into the night. Whether you’re looking for a digital or a retro jukebox, you’re sure to be pleased with the variety we have on offer. In addition to our fantastic rental services, we’re also pleased to deliver, install and provide maintenance and repair services for any arcade games, pinball machines, pool tables and jukeboxes you rent from us. We offer our services within a 100-mile radius of our location, so if you’ve looked far and wide for a particular game and we’re within 100 miles of your restaurant, bar or event site, give us a call! For the very best arcade game rentals in Kansas City, MO and more, call KC Video Games at 816-753-8834 or visit us today to learn more about our rental services and find out what games we currently have available.